Rescued Nordic Theme Dog House Ornament - new for 2016. 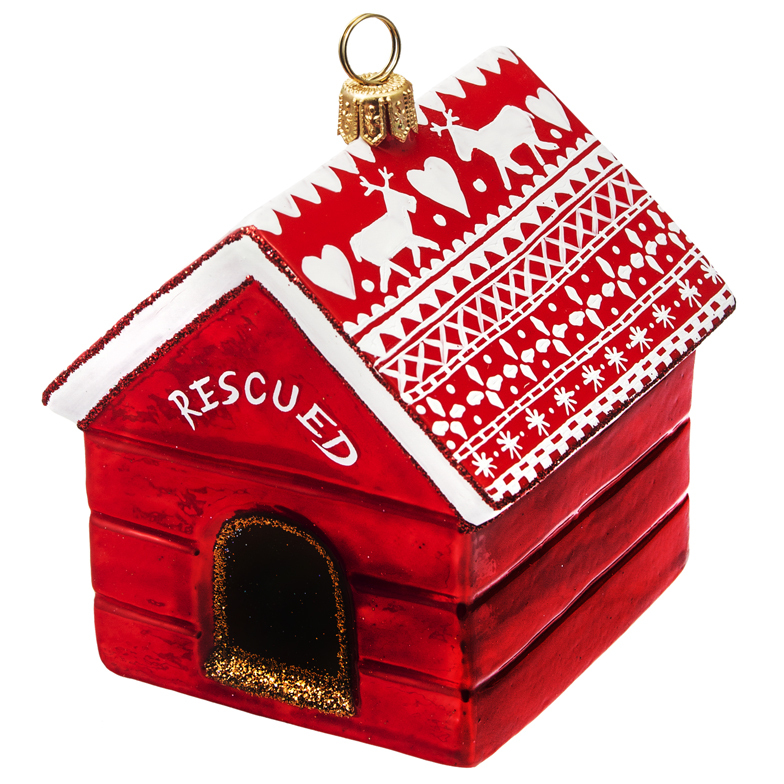 The Rescued Dog House Ornament is a great way to honor those who rescue or foster all of these sweet fur babies! The Rescued Nordic Theme Dog House Ornament is a European made ornament - hand made by artists who first create a mold for the ornament, then the glass is blown and hand painted. The ornament measures approximately 4 inches - such a fabulous ornament for the dog lover! The detail in this ornament is simply beautiful with a nordic theme! Delivery Time:Ornaments normally ship 2-3 days after order.